What this world has to offer is no longer sufficient. Our needs have outgrown material possessions. When you begin to value the Creator’s attitude, you will see that He manifests humility: “Wherever you reveal the greatness of the Creator, you reveal His #humility.” There’s nothing greater than humility—it is a reaction to the Ohr Makif of the Creator, the highest degree, that the upper one rules with love, subjugates before you like a baby. By humbling myself, when I’m criticized on all sides, I subdue my ego and make space for the Creator, letting Him rule. Humbling, unlike conceding, is seeing the opportunity to subjugate yourself and doing so joyfully, allowing for extra space for the Creator. Over the last 200 years the standard of living was determined by the growth in labor production. Today, however, regardless of the path the world leaders are choosing, all lead to cataclysms, as there are no more growth stimuli. Egoism has collapsed! The next stage must be an altruistic growth. Gradually, it becomes clear to the members of our group that our way of life is necessary for all of humanity. There is no predetermined number of years of study, but the fulfillment of your life with the states of constant advancement of your personal revelations. Everything that exists, good and evil, has the right to exist, is forbidden to be destroyed, and is intended only to be corrected for the good and to reveal the perfection of the Creator. Therefore beware of even saying that something is unnecessary. 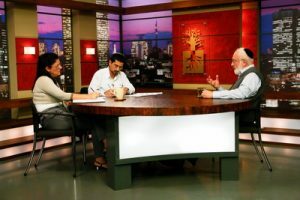 Question: Why does it seem that when we start studying Kabbalah we no longer have common interests with our former friends, and our social life fades away? Answer: When a person begins to practice Kabbalah, it is as if he breaks away from his ordinary earthly affairs. He unwittingly works, unwillingly lives in the family, and unwillingly exists because he is captivated by this science , which talks about the eternal, perfection, and the soul, and this makes a much more profound impression than one’s material life. But gradually this sensation disappears, and he balances his perception of ordinary life with his impressions of spiritual life. This must be experienced. Naturally, you will not have much in common with your former friends because their interests are at the level of our world, and yours are at the level of the upper world. Therefore, the group that you organize to study Kabbalah will represent the most important society for you. A wedding unites, integrates, and connects a couple, their families, and their communities. It is a social union. Guests come to strengthen the connection between the bride and groom who make a mutual promise to become one.